Lee Casey plays guitar in a noise band called Ottermeat, about to leave NJ, to try and make it in Los Angeles. For now, he's squatting in a collapsing house, working as a stone mason, driving a jacked up pickup truck that he crashes into everything. As a close friend Ods in his sleep, Lee falls into a three-way relationship with two college girls, June Doom and K Neon. 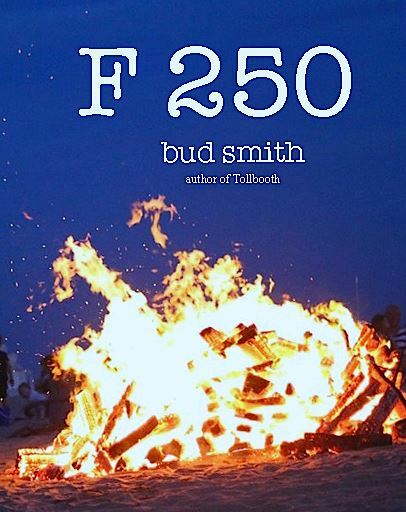 F250 is a novel equal parts about growing up, and being torn apart. This is my second novel. It was written mostly in the back of a pickup truck on coffee breaks and lunch breaks at the Byway oil refinery in Linden, Nj during the summer of 2013. I typed it out on my cellphone and edited it at night when I came home from work. I was working as a boilermaker when I wrote this, welding and repairing equipment that processed crude oil into gasoline. That's fitting, because when I did have an F250 pickup truck in between 2003-2006, it drank all the gasoline I could afford to dump into its dual tanks. That was back when I was working as a stone mason, myself, much like the narrator of the book. I built water falls into swimming pools then, too, just like there narrator of the book. I did play in a band. I did know girls like K Neon and June Doom. This is a novel. This is a work of fiction.